Laura Margaret Walker was born into a military family on June 16, 1981. Her education included ten different schools, living in 18 different cities, and three different countries, culminating with her graduation in 1999 from SHAPE American High School in Belgium. Laura was active in Club Beyond, Model United Nations, and earned varsity letters in soccer, basketball, and volleyball. She belonged to the National Honor Society and was selected to the "All Europe" soccer team her senior year. Laura attended the United States Military Academy at West Point where she excelled in leadership positions such as Cadet 1SG and CSM and was elected as class secretary for the class of 2003. 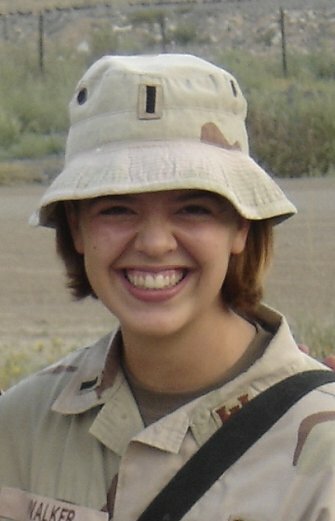 While a cadet, she graduated from Air Assault School at Fort Polk in June 2001, served as a summer intern with the Senate Veterans Affairs Committee, played for the United States Junior Women's Handball Team in the Pan American Games, and was team captain of the West Point Women's Handball Team, leading them to a national collegiate championship. Although she was offered the opportunity to pursue a position with the Olympic handball team, Laura chose to serve with soldiers. She graduated with a Bachelor's Degree in Political Science and Systems Engineering on May 31, 2003 and was commissioned a 2LT in the Corps of Engineers. 2LT Walker arrived at Fort Lewis in January of 2004, was assigned to the 555th Maneuver Enhancement Brigade, and deployed to Iraq in support of the 4th Infantry Division until April 2004. Laura was reassigned as a vertical construction platoon leader in the 864th Engineer Combat Battalion (Heavy) upon returning to Fort Lewis. 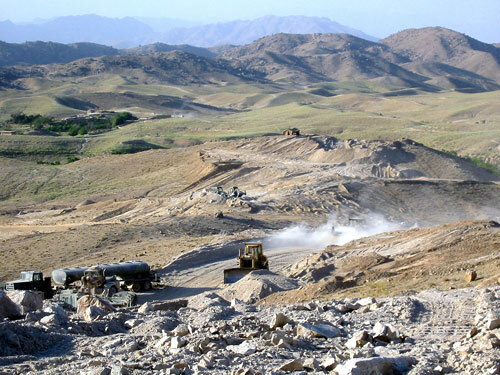 She re-deployed with 1st Platoon, Bravo Company, 864th ECB (H) to Afghanistan in March of 2005. 1LT Walker's platoon expertly constructed force protection, mobility, and life support facilities, and performed quality assurance for local national contracts at Forward Operating Bases Salerno and Guyan. In July 2005, 1LT Walker was selected to be the Executive officer of the 864th battalion Headquarters' Company. En route to her new position, she was assigned to a two-month tour as the Task Force Pacemaker Public Affairs Officer. She wrote several news articles for the Task Force that appeared in several newspapers, to include The Afghanistan Freedom Watch, Defend America, and The Northwest Guardian. Laura was the editor of the Task Force newsletter, The Pacemaker, which is distributed to all of the Soldiers in the Task Force, as well as their family members and Pacemaker's higher echelons. 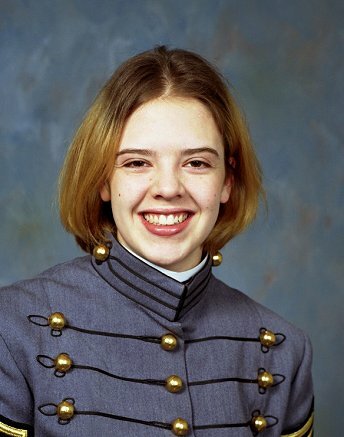 Although Laura was an exemplary officer and loved West Point and the soldiers she led, these were but a part of her huge capacity for life. She was a strong person, spiritually, physically and mentally. These qualities inspired others to "play up" in all areas. Laura valued family and friends, and fostered a sense of community wherever she found herself. Loyalty -- Laura was all about loyalty and traditions. She loved music and had a gifted voice. She was an accomplished and prolific writer. She treasured time spent with her sister and brothers. She loved learning to cook with her mother, and shared her skill with others. She enjoyed talking to her father on long, slow runs. She was a certified aerobics and yoga instructor. Her continued interest in soccer was reflected in her play with the local club in Tacoma. She shared a deep love for all the holidays, especially Christmas (which starts in July) with her family. Passion -- Laura was all about passion and dedication. She and Ed Peskie were to be engaged this summer after several years of sharing life together. She loved God and was growing in Christ daily. 1LT Laura Walker was a good friend and inspiration to all who knew her; we miss her terribly. Laura is survived by her mother, Valerie Walker, her father Keith Walker, her sister, Audrey, and her brothers, Duncan and Brian Walker. Sorrow knows no bounds for Ed, the family, and the countless lives she touched. We ask that just as we all benefited from the goodness of her life, let there be continued goodness long past this transient painful visitation by death. Continue to hold her in your hearts and minds, and honor her by living life to its fullest. The family requests that any donations be made to the 1LT Laura Walker Memorial Fund. Contributions made to the 1LT Laura Walker Memorial Fund will support the West Point Women's Team Handball Team. "West Point Association of Graduates." 1. Click on down arrow in the “designation” box. 2. Click on “I don’t see my designation (e.g. Class Gift Fund)”. 3. In the “comment” box type in: “1LT Laura Walker Memorial Fund “. 4. Continue completing the online form. 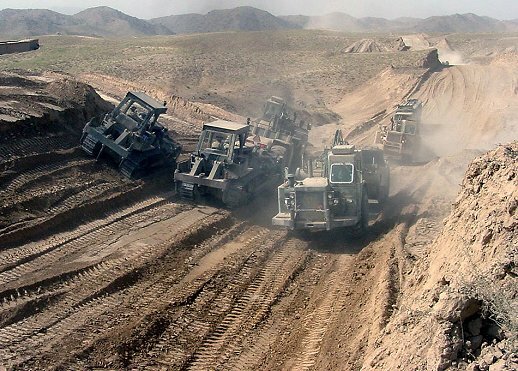 August 3, 2005 - Army engineers from Alaska-based Company C, 864th Engineer Combat Battalion, level a portion of the nearly completed 117-kilometer TK Road, stretching from Kandahar to Tarin Kowt, Afghanistan. 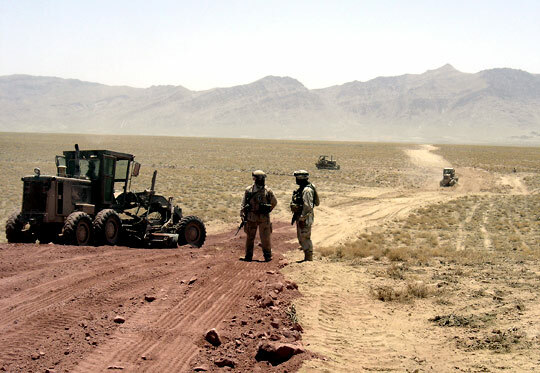 The road will link vast, difficult-to-access portions of the country, fostering commerce and facilitating travel to election polling sites next month.